Space is at a premium on a fishing kayak. 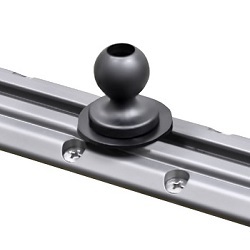 Slide Tracks provide a compact and versatile way of mounting accessories such as Rod Holders, Fish Finders and Cameras. Some kayaks come pre-installed with slide tracks and but others do not. Slide Track can be purchased seperately and retro-fitted to most kayaks fairly easily. Cornwall Canoes stocks the most popular Slide Tracks, Track Mounts and associated accessories. If you can't find what you are looking for give us a call on 01726 862798 and our knowledgeable staff will be able to help. Track Systems that can be retro-fitted to a fishing kayak. Strong composite slide tracks for kayaks and boats. 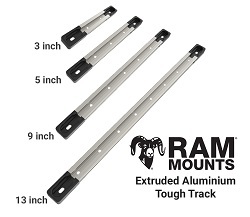 End loading t-track design accepts all the popular track mount accessories. 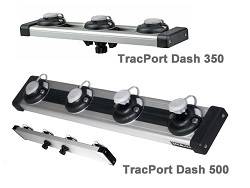 Low profile t-track for kayaks and boats. Allows easy attachment of track mounted accessories. Tough construction. Tough aluminium slide tracks with top loading plastic end caps. Great for creating a flexible accessory mounting system on kayaks and boats. Compatible with all popular track mounts. 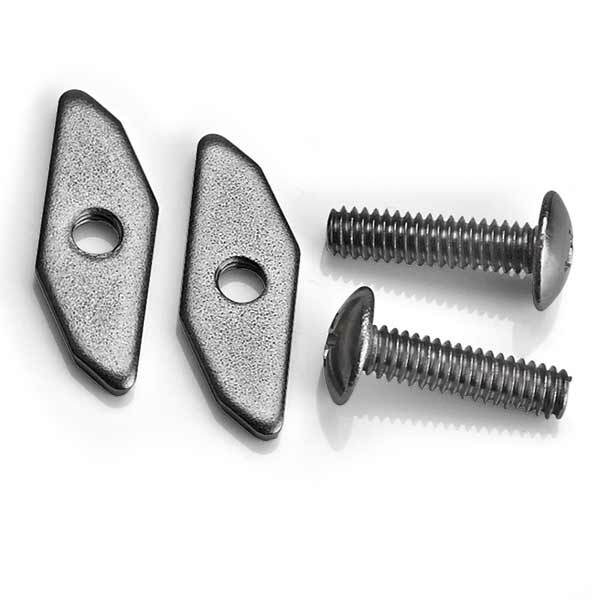 Fix to a suitable place on your kayak, position multiple Scotty Gear-Head Track Adapters onto the Slide Track, click in your favorite Scotty Rod Holders or accessories and start fishing! Low-profile top loading slide tracks for your fishing kayak. Strong composite construction. Great for mounting accessories exactly where you want them and to make them easy to remove. High quality alloy slide tracks designed for marine use and medium-heavy duty applications. 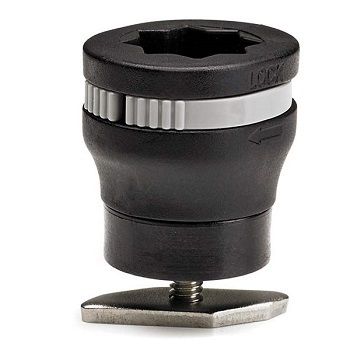 The GearTrac GTTL90 allows for top loading of accessories and comes supplied witha full backing plate and bolts. Available in 12" lengths. Scotty Mounts that are compatible with many of the popular track systems including YakAttack GearTrac, Wilderness Systems GearTrax, Scotty Track and more. The Scotty 438 Gear-Head Track Adapter quickly slides into place on track systems and locks down your post mounted Scotty rod holders and accessories. Quick, easy and versatile, meaning that you can position your accessories exactly where you want them and will fit many of the popular track systems. 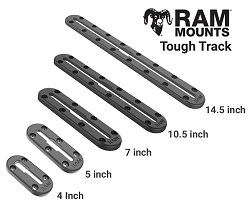 Ram Mounts that are compatible with many of the popular track systems including YakAttack GearTrac, Wilderness Systems GearTrax, Scotty Track and more. With a quick turn of the ball the base will slide along slide track, giving you ultimate flexibility in positioning your fish finder. 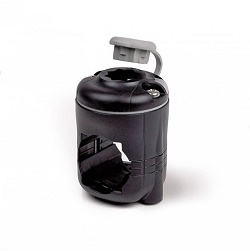 Compatible with 1" Ram ball gear such as the fish finder mounts above. Compatible with most T-track systems including YakAttack GearTrac, Wilderness Systems GearTrax, Scotty Track and more. With a quick turn of the ball the base will slide along slide track, giving you ultimate flexibility in positioning your fish finder. 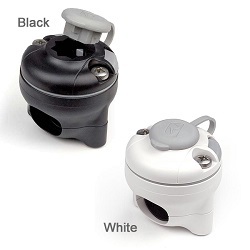 Compatible with 1.5" Ram ball gear such as the fish finder mounts above. 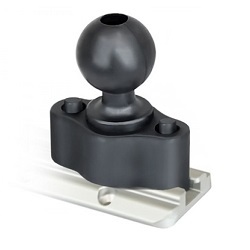 A 1" rubberized Ram ball with T-Bolt for quick and easy mounting to slide tracks. 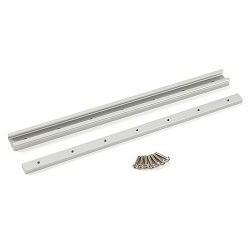 Great for mounting small fish finders and other small accessories on slide tracks. 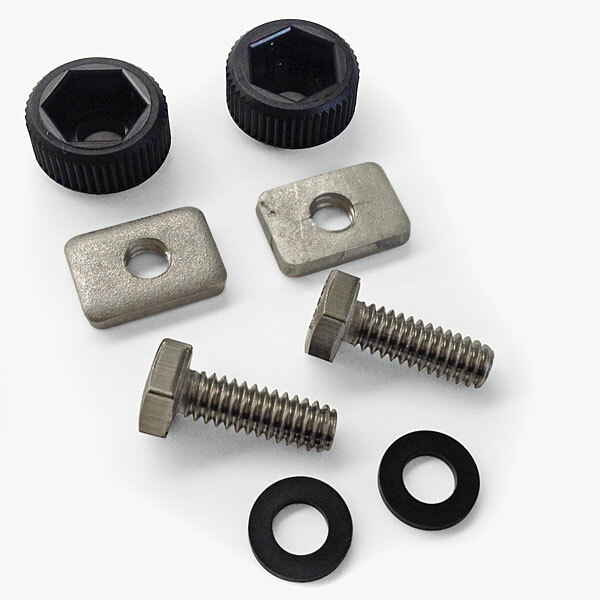 A 1.5" rubberized Ram ball with T-Bolt for quick and easy mounting to slide tracks. 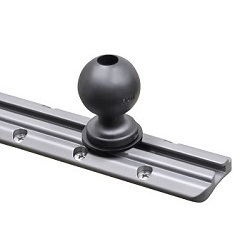 The 1.5" ball is good for heavier duty applications such as mounting rod holders and camera poles. 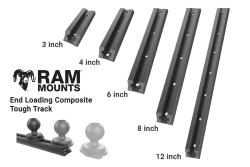 Railblaza TracMount Kits allow you to attach the StarPort or Starport HD to many popular track systems including YakAttack GearTrac, Wilderness Systems GearTrax, Native Watercraft Tracks and more. If your kayak has slide tracks then attaching Starport accessories to your kayak just got a lot easier! The MiniPort TracMount is designed to fit most existing tracks, including YakAttack, Wilderness Systems, Scotty, Native Watercraft and Yak Gear. Note: Can only be used on the right hand (starboard) side with a rod holder, so that the MiniPort tightens to the track when load comes on from a strike. The StarPort TracMount Kit allows you to attach a StarPort to leading brand kayak tracks including Wilderness Systems and Yakattack. The StarPort HD TracMount Kit allows you to attach a StarPort HD to leading brand kayak tracks including Wilderness Systems and Yakattack. Railblaza Rail Mounts allow you to attach the StarPort to many popular circular and square rails including the Hobie AKA outriggers and the Hobie H-Rail system. 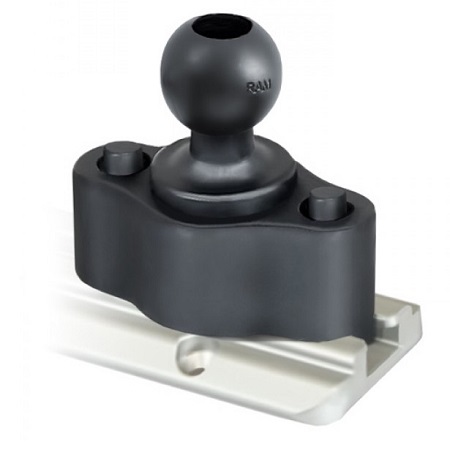 The Railmount 19-25 has been designed to fit 0.75 inch (19mm) and 1 inch (25mm) marine rails. Perfect for adding a StarPort to boat railings! Available in Black and White options. Designed to fit both circular and square 32mm rails and circular 41mm rails, such as those found on Hobie AKA outriggers. This mount will also fit the new Hobie H-Rail system so that you can add all your favourite Railblaza products to your Hobie kayak! Increase your mounting options with a raised dashboard from Railblaza. Available in 350mm and 500mm size options. Mounts compatible with the Feelfree Uni Track System found on many Feelfree Fishing Kayaks including the Moken 12.5, Moken 10 lite and the Lure series. 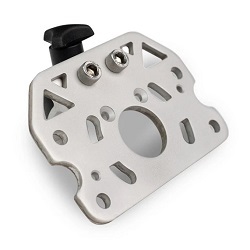 A quick release mounting plate for mounting accessories to Feelfree kayaks that have the Uni Track System. Compatible with Ram and Scotty Mounting bases. 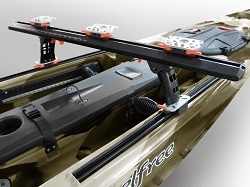 Ideal for mounting Ram fish finder mounts to Feelfree fishing kayaks. An accessory mounting dashboard for your feelfree kayak! The Uni-Bar attaches to the slide tracks on your feelfree fishing kayak to make your cockpit into a command center! Includes 3 Uni Track mounting plates. Mounts compatible with the Trax System found on many Wilderness Systems Fishing Kayaks including the Tarpon 100, 120, 140, Thresher 140, 155 and more. 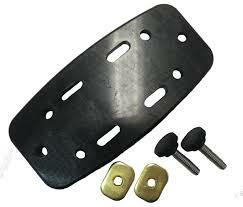 Accessory mounting plate for Wilderness Systems kayaks with Slide Trax.